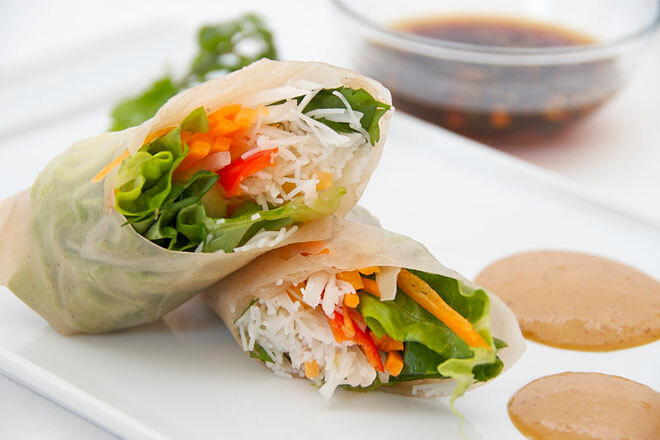 6) Roll Spring rolls. Put the spring roll pastry on a surface with a corner facing you. Place the flour paste along the edges of the opposite 2 sides. Place about 40g of mixture in the centre of the spring roll pastry and roll up folding in the two side corners.